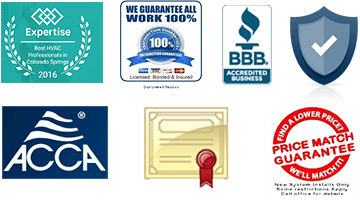 Air Duct Cleaning - Basset Heating & Air Conditioning Inc. Air Duct Cleaning - Basset Heating & Air Conditioning Inc.
Basset Heating & Air Conditioning Inc.
What is your family breathing? The Environmental Protection Agency has ranked poor indoor air pollution among the top 5 risks for public health multiple years in a row. Without even knowing, your air duct system could be contaminated with particulates that are harmful for you and your family to breathe. Each time your heating and cooling system turns on, it can circulate dust, dust mites, animal dander, pollen and bacteria throughout the air inside your home. 1.The EPA has ranked indoor air quality as one of the top 5 environmental risks to public health. 2.More than 50 million Americans suffer from allergies. According to Total Health and Better Health magazine, 1 out of 4 people who suffer from allergies, do so, due to the fungi and bacteria in the air duct system. 3.Indoor air is 2-5 times worse than outdoor air. 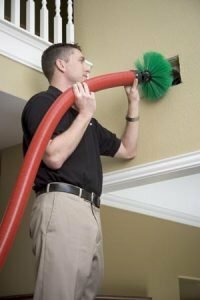 At Basset Heating & Air Conditioning Inc. we are providing air duct cleaning services in Fountain, Colorado Springs and surrounding areas.. We have expert professionals to provide best quality service. Contact us today to get air duct cleaning service from us. Copyright © 2018 Basset Heating & Air Conditioning Inc. All Rights Reserved.